Catalogue > Maps Europe > Spain. Barcelona. Plan and view. Barcino Metropolis Hispanici Principatus Cataloniae in littore Maris Mediterranei, (...). / Barcellona die Haupt Statt des Spanischen Fürstenthums Catalonien (...). Old, antique map of Barcelona. 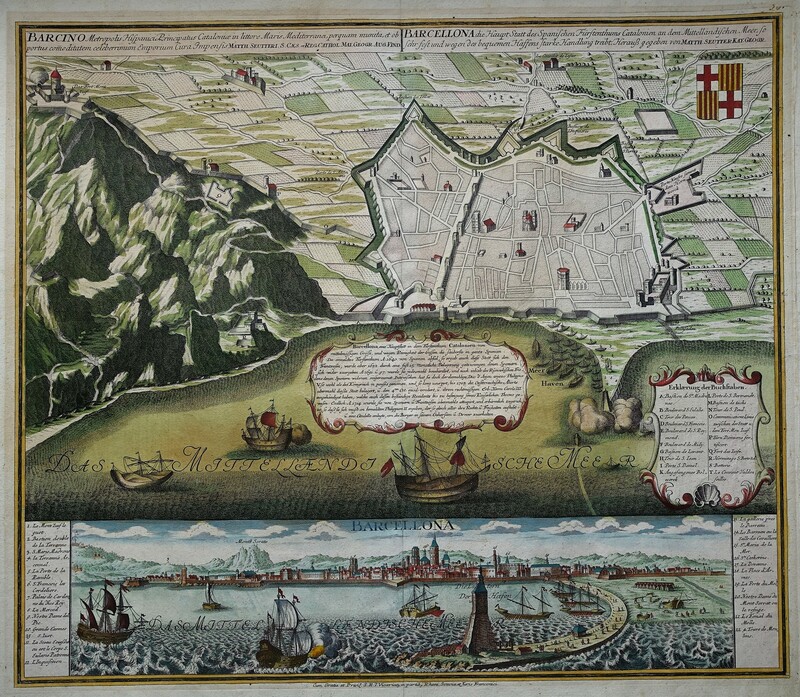 In the Mediterranean Sea a cartouche with a town description surrounded by ships. Cartouche with key to the map in the lower right corner. Latin and German title above the map. 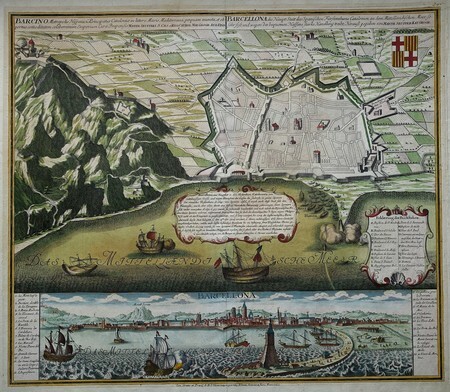 Panoramic view of Barcelona, with a key at the bottom of the sheet. Verso blank. Colored (partly original col.) copper engraving, published circa 1730 in Augsburg by Matth. Seutter.